1,Cisco anyconnect can be installed free from the App Store. Search for "Cisco anyconnect" on the App Store. Please tap on acquisition. 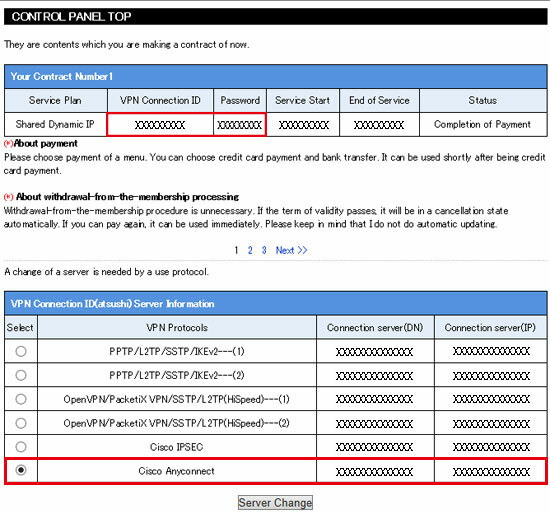 5,Please enter an arbitrary name in "Description", and a connection server (DN) of the management screen in "Server". At this time, if you enter a connection server (IP), you get a certificate error, but you can connect, see the case where the following error occurs. In the upper right, tap "Save". 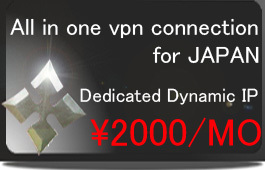 6,Please turn on "AnyConnect VPN" switch. 8,If "valid" is displayed, the connection is successful. Anyconnect must enter a password each time you connect. If you wish to change your password easily, please change your password from the administration screen. 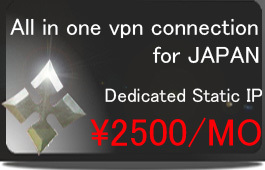 ※A certificate error will appear when you enter it to the connection server (IP). Please change the setting as below. Tap "Change settings". Turn off the "Block untrusted servers" switch.